Curved front yoke. 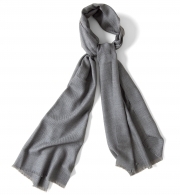 Comes with soft front placket. 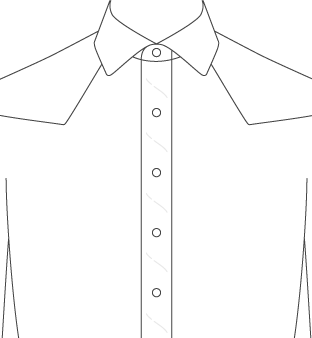 Combine with Western back yoke and snap buttons for a true western shirt. A beautiful off-white snap button. Slight color variation that replicates the look of vintage bone buttons. 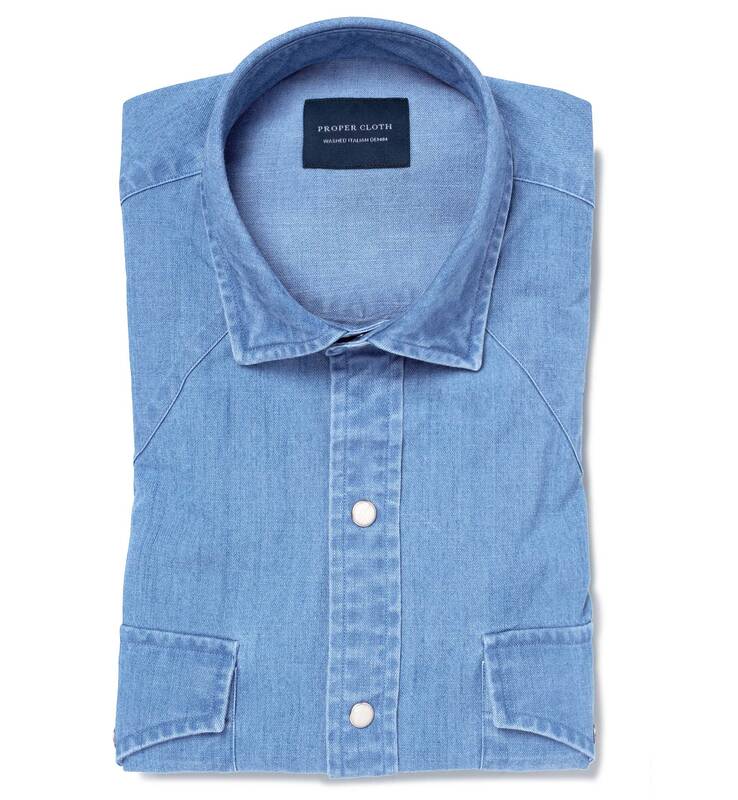 Perfect for a western shirt. A true western shirt fabric if there ever was one. 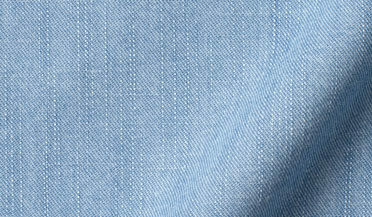 This hearty denim twill uses special slub yarns both vertically and horizontally for a perfectly textured look. 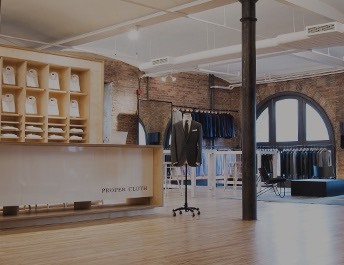 We knew we wanted to find the best possible denim to make a true snap western shirt, so we went to the 185-year-old Italian indigo mill Albiate. We tested wash colors with our factory for months on end to achieve this beautiful light wash color. The fabric is made with a 20/1 x 20/1 twill construction and is sure to last a lifetime thanks to its dense weave and quality construction. All of our washed indigo and denim shirts start out as plain or textured weave fabrics that have been heavily dyed with indigo. 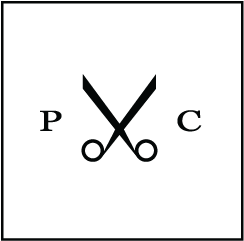 After being cut and sewn, the shirts are then garment washed using either a light enzyme or bleaching process. 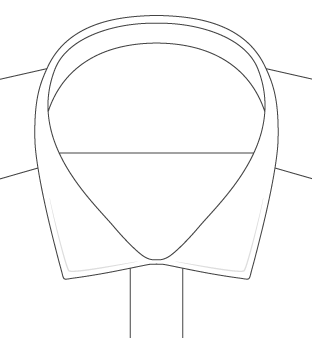 It's this process that gives each shirt its unique fading around the seams. 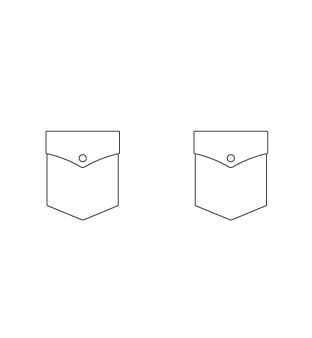 While garment washed indigo and denim shirts are a popular product in the ready-to-wear market, they haven't previously been available in a custom fit or design due to the bulk production required for the washing process. 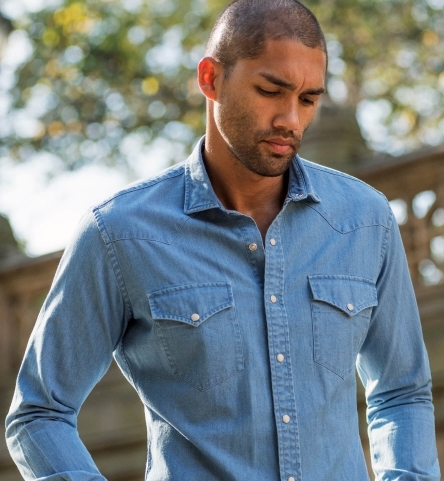 We've worked closely with our suppliers to offer the first truly custom garment washed indigo and denim shirts on the market, allowing such a great style to be produced in your custom size. 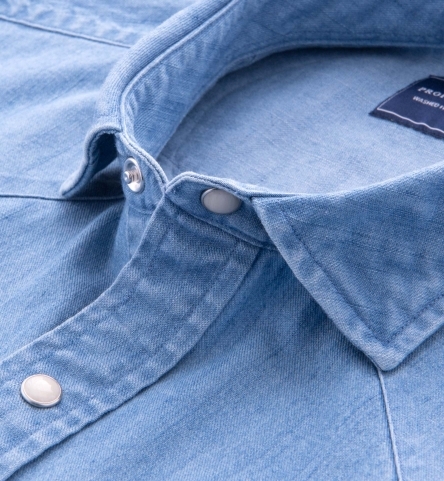 Learn more about our washed denim shirts here. Due to the special nature of this garment washed shirt, we guarantee delivery by 1/14/2019.